Celebrate your special moments at Trilogy® at Lake Frederick! Our expert staff, incredible menus, and beautifully unique event spaces allow you to enjoy your festivities and toast to what matters the most. For more information, please call 540.699.3244. Set in the heart of Northern Virginia’s famed and majestic Shenandoah Valley, and perched on atop a bluff situated on over 900 acres of woodland beauty, Shenandoah Club’s lakeside lodge provides unfettered vistas of the 117-acre Lake Frederick in the foreground and the Blue Ridge mountains in the distance. Whether it’s a large celebration or an intimate gathering of friends and family, we will help make your dream day come to life. 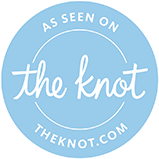 TheKnot, 5-Star Review – Mrs. J.
TheKnot, 5-Star Review – Deborah C.
TheKnot, 5-Star Review – Victoria M.
TheKnot, 5-Star Review – Jamie D.
TheKnot, 5-Star Review – Jallene E.
Facebook, 5-Star Review – Yedari B.
Facebook, 5-Star Review – Cecilia O. Guests sit theatre-style at our outdoor ceremony site with a natural backdrop of majestic Lake Frederick. Rustic privacy with custom burlap privacy fencing facing the west for picture perfect sunsets under warm café lighting. With amazing exposed beam ceilings and chandeliers that would make Joanna Gaines swoon, our Events Venter is unmatched in the area. A perfect venue for meetings, planning sessions, or pre-event receptions. Our signature private dining suite is the ideal place to celebrate any special occasion among friends in an intimate setting. Our Executive Chef and culinary team have prepared menus that guarantee an amazing culinary experience for all tastes. Using only the freshest, highest quality ingredients, menu offerings range from inventive gourmet delights to classic country club fare and delicious homemade comfort foods. We will work with each couple to create an amazing, one-of-a-kind experience. Courtney Baker is a Shenandoah Valley native, and she graduated with a degree in Event Management from James Madison University’s Hart School of Hospitality Management. After college, Courtney worked for a private event planner and designer in Northern Virginia before joining Shenandoah Lodge at Trilogy Lake Frederick. Her love for working with couples, blended with her organizational skills, makes her a valued partner in creating your dream wedding. How do I book my wedding at Shenandoah Club? A signed proposal with a security deposit is required to reserve your date. Contact the Special Events Manager for details. the exception of a wedding cake or some specialty desserts. When can we do our ceremony rehearsal? A ceremony rehearsal can be hosted the day prior to your wedding. Please coordinate with our Special Events Manager. Yes! We will provide the wood logs and a staff person to monitor, set up, and clean up, for a $150 fee. The fire pit will be lit after 9:00pm. Final guest count must be received no later than 14 days prior to the event. No. As the licensed caterer, we have our own Virginia ABC mixed beverage catering license to provide your event with the appropriate alcoholic beverage needs. Due to ABC laws, liability, and service standards, we do not allow a client to provide their own alcohol. Absolutely! We welcome you to decorate with flowers, candles, lighting, etc. We do not allow anything to be applied to the walls or building structure that will cause damage. If you choose to use candles, we require that they are in containers or on a stand to prevent damage to surfaces.